The cosmetics industry is all about style and presentation. 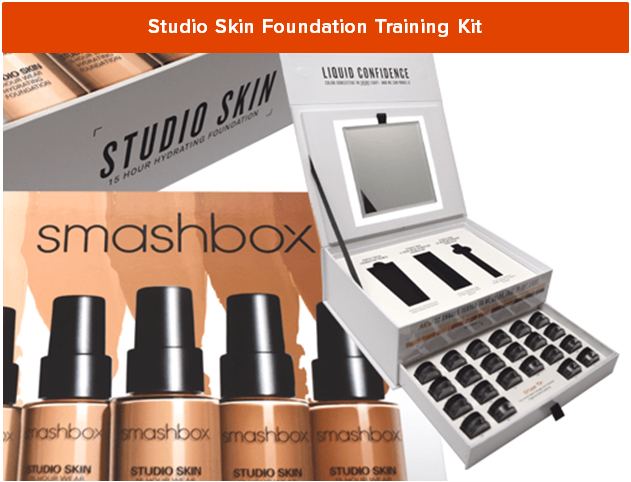 Smashbox, one of the beauty world’s most recognizable brands, wanted to create an exciting line of innovative specialty packaging, training and educational kits and instore product displays to house and showcase its dazzling new product lines. Americhip partnered with Smashbox on several innovative packaging and instore solutions for multiple presentation objectives. All of our solutions incorporated innovative designs, customized styling and our patented technologies. 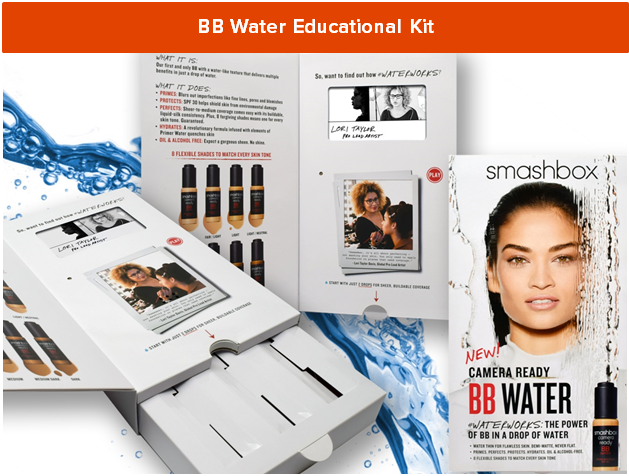 First for the BB Water Foundation educational kit, we designed a streamlined Video Package that held three samples. When opened, the package displayed our patented 4.3” Video Screen highlighting expert makeup artist, Lori Davis, detailing the benefits of the product. 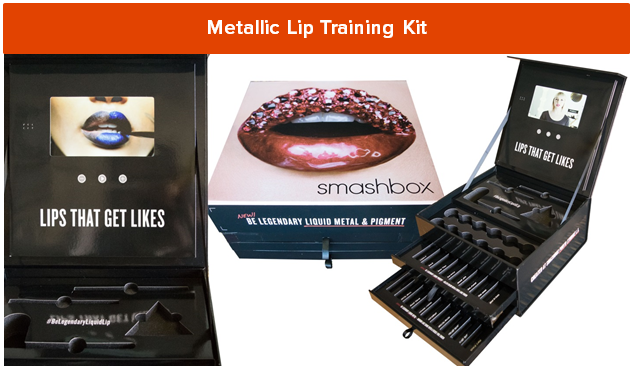 Next, for the Metallic Lip sample box we created a dazzling Video Training Kit incorporating our 7” Video in Print screen. The kit was big and bold with glossy photography to emphasize the glitter and glam of Smashbox’s liquid metal line. 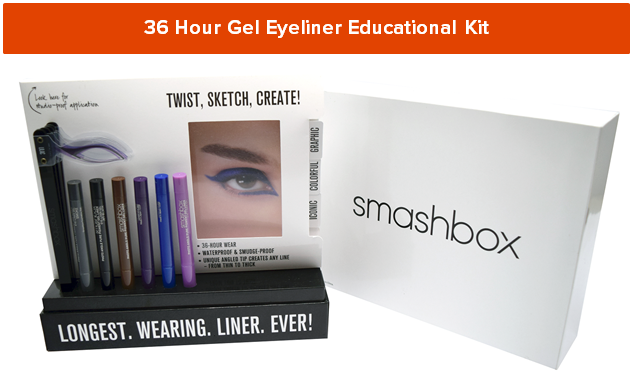 For Smashbox’s new Gel Eyeliner products, we developed a paper engineered box with a “magic window” and pull tabs that slide out to showcase different looks made possible with these new gel eye liners. Finally, for a Video Kit highlighting its Moisturizing Primers, we built Smashbox a beautifully designed, multi-tiered display with a pull-out drawer holding a variety of samples. Whatever the audience, whatever the message, Americhip’s creative team is always ready to develop a specialty packaging and instore campaign that delivers with style and impact.